While much of the world refuses to put places of worship under lock and key, for faith-based organizations and community centers in the United States, including in Pittsburgh, it is becoming a practice. Visiting a place of worship a person does not belong to without inviting suspicion is difficult. Government sting operations in mosques, the rise of Islamophobia, continued anti-Semitism and the “branding” of Christianity as a religion for white supremacists have created both internal and external threats for places of worship. For several different reasons, fear reigns supreme in houses of worship in our community. Three of the six actually encountered incidents of theft, but each of the six live in near-constant dread of being victimized by theft or worse. For several different reasons, fear reigns supreme in houses of worship in our community. Pittsburgh Police Bureau spokeswoman Sonya Toler said she believes that though it is challenging to find data to support the evidence, during the past few years, “there does appear to be an overall concern about safety among places of worship.” City police along with county emergency operations and the Department of Homeland Security works with a variety of entities, including places of worship, to develop emergency plans. Toler cites “incidents of burglary and theft” as the most common ones reported by places of faith. But the number of attacks and threats targeting faith-based organizations has increased across the country and U.S. Sen. Bob Casey, D-Pa., is pushing to secure more federal grants to be appropriated for places of worship and other nonprofit community centers. Safety concerns for places of worship are rooted in perception as well as precaution. 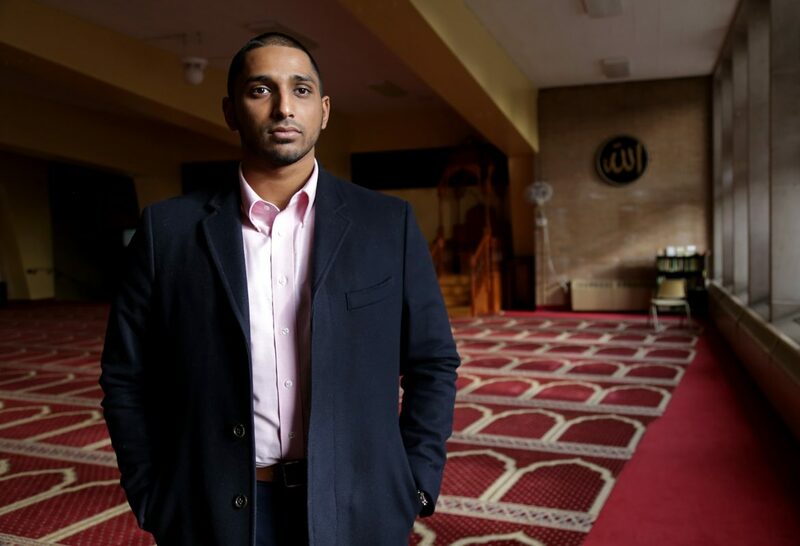 As the executive director of the Islamic Center of Pittsburgh (ICP), Wasiullah Mohamed works to minimize safety concerns among both his staff and the Muslim congregation on daily basis. “Muslims are not feeling safe anywhere,” he said. Yet he acknowledges that “adding surveillance measures may act as a deterrent but it also creates more panic.” The Islamic Center runs on community donations and, therefore, its leadership must weigh the cost and effectiveness of surveillance systems. According to FBI data, more than 20 percent of attacks on religious groups in 2015 targeted Muslims. The FBI reported 257 hate crimes against Muslims in 2015, an increase from 154 crimes in 2014. In the last year, the number of hate crimes against Muslims has been on the rise. The Southern Poverty Law Center, a civil rights advocacy group that tracks hate crimes, reported more than 30 cases of anti-Muslim incidents in the five days following the presidential election alone. A Hindu man was assaulted in Pittsburgh on Nov. 23, three days after the election. He was perceived to be of “Muslim descent” by the aggressor. Concerns for religious persecution are not limited to the Muslim community. 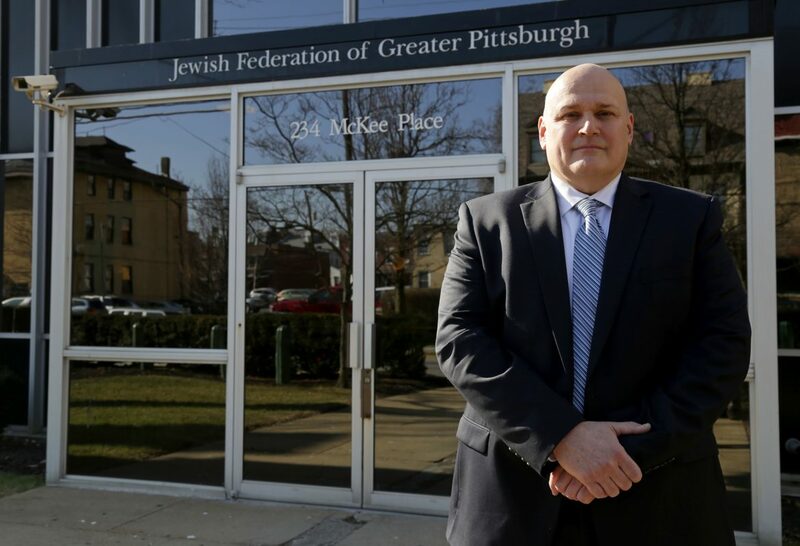 The Jewish Federation of Pittsburgh recently hired Brad Orsini, a former FBI agent with more than 25 years of experience in crisis management and community outreach. He is serving as security director, a new position. In this capacity, Orsini oversees and develops action plans for security of all synagogues in the Greater Pittsburgh area. More than 100 bomb threats have been received by Jewish community centers across the United States since the beginning of 2017. A historic Jewish cemetery in the St. Louis suburb of University City, where many Holocaust survivors are buried, was desecrated the weekend of Feb. 17. A similar incident took place on Saturday, Feb. 25, at the Jewish cemetery in Philadelphia; 75 to 100 tombstones were damaged. On Monday, Feb. 27, Pennsylvania Auditor General Gene DePasquale released a statement about threats against Jewish community centers in Harrisburg and York. “The tenor of politics in the country clearly seems to have emboldened such vile haters, and that must cease,” he said in the statement. State Attorney General Josh Shapiro said in a statement: “These acts are cowardly. Their perpetrators aim to spread fear, but we will stand together to ensure they fail. Intimidation and threats against the people of any one faith are an affront to us all." While the motives behind the assault on the Jewish community are unclear, Orsini has already put together a plan he calls a “commitment to action.” This multifaceted approach includes evaluating the most effective placement of monitoring equipment, preparing congregation members to be first responders in case of an incident and building relationships with local law enforcement. “The overarching goal is to keep the community safe,” he said. Orsini said he is ready and willing to work with other religious communities on streamlining security measures. The Muslim Association of Greater Pittsburgh (MAP) and the Christian Community Church (CCC) share a backyard of sprawling greens in the North Hills of Pittsburgh. They are tried-and-true friends in every sense of the word, from creating youth programs to celebrating holidays like Mother’s Day with each other. They each face challenges of their own. “Since 9/11, Muslim society has been concerned. 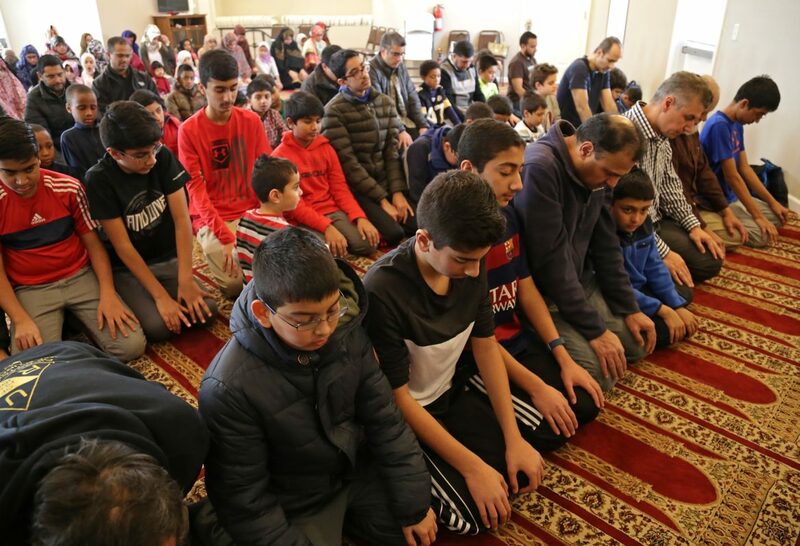 Since then, anti-Muslim rhetoric has been picking up especially during the election years,” says Sami Iren, vice principal for MAP’s Sunday School. The suburban community center mostly serves families and has almost 100 children enrolled in its Sunday school. According to Iren, the security measures put in place at the Islamic Sunday school not only aim to address anti-Muslim acts, but also generalized gun violence and mass shootings. MAP’s Sunday School Principal Azra Mahmood said the congregation has felt threatened at times by the hatred spewed on social media. There have also been incidents of obscenities shouted by passing motorists at children as they play outside for recess. Though there has been no damage to life and property, these incidents continue to feed into the perception of impending danger. In early 2016, the mosque’s then-president Ishfaq Ahmad formed a security committee. The committee met with the local police representative and fire chief. As a result, the mosque installed indoor and outdoor security cameras, recess surveillance for children and security lights that stay on all night. The mosque has also advised its congregation members to attend services in groups and not to be there solo. Most MAP members follow this advisory protocol. For Shazia Ahmad, who works as an office manager there, it’s often not something she can do. “I feel comfortable, but now when I come in I lock the door. I try to be here when others are here, so I feel safe,” Ahmad said. 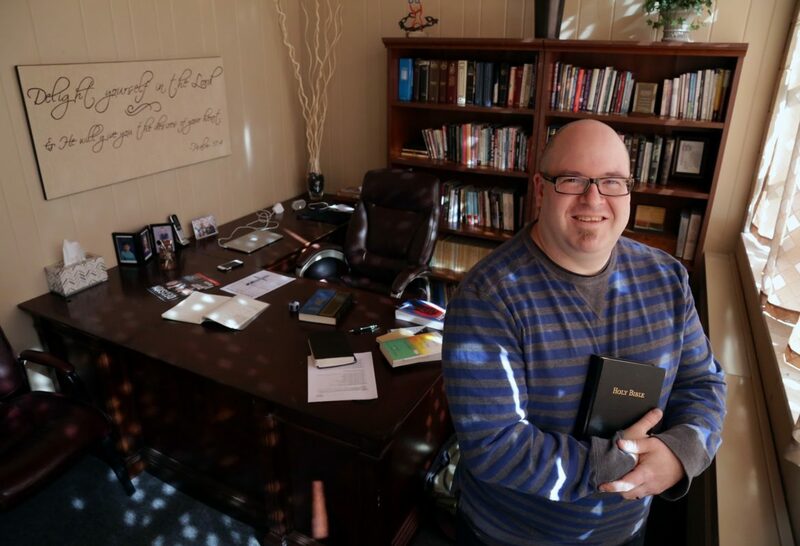 While MAP struggles with concerns of Islamophobia, neighboring Christian Community Church (CCC) faces religious intolerance of a different kind, according to Pastor Dan Turney. “The problem we have is people that maybe have a skewed view of religion. People that maybe feel we don’t worship the way we should,” Turney said. When MAP purchased the building next door, CCC welcomed Muslims to the block at the expense of losing some of the members of its own congregation. Turney was undeterred; he stood by his decision to be welcoming to Muslim neighbors. It did lead to some security concerns, limited mostly to threats on social media. According to 2016 Pew Research, crimes perpetrated against religious groups other than Muslims most often include property offenses, such as vandalism or theft. When CCC was moving to the North Hills location in 2012, some items left outside the church walls were stolen. Recently, the church installed an intercom bell and security doors to protect the premises. The security measures are comforting to the office manager, Mandy Sipko, who shares Ahmad’s concerns about working by herself at the church. Madhu Agarwal and Chetan Patel of the Hindu Jain Temple in Monroeville said the temple had one incident of theft since its inception in 1984. It spurred them to install a sophisticated system of 16 surveillance cameras. 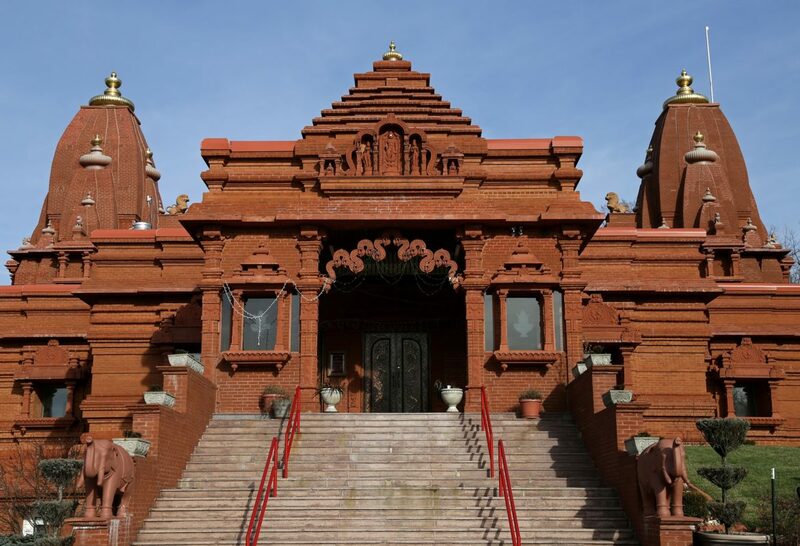 The Jain Temple works closely with law enforcement and government agencies on ensuring effective security measures and emergency preparedness for the members of its temple. The Church of Jesus Christ of Latter-Day Saints, which serves the Mormon community of Pittsburgh, has also experienced an incidence of theft at its Greentree location, where a computer was stolen from the church. The centralized structure of the Mormon Church has allowed national leadership to create an effective emergency preparedness plan and disseminate it across all Mormon churches in the country. As part of this, church buildings remain largely “locked” during the week, especially daytime. Tania Lyon who belongs to the Church of Latter Day Saints in Pittsburgh said that though Mormon church buildings in North America are not targeted by violence and hate crimes in the way mosques and synagogues have been, in other parts of the world they have been the victims. In South America, Mormonism is sometimes conflated with American imperialism and there have been bombings and vandalism related to anti-American sentiment. Interfaith networks and law enforcement agencies in the Greater Pittsburgh area have been lifelines for disenfranchised religious communities. The support system has become more important than ever in these disconcerting times. And it’s become commonplace for local interfaith networks to get together to support civic causes and to reinforce friendships. Agarwal and Patel of Hindu Jain Temple said they feel supported by the interfaith alliance and good neighbors. CCC and MAP in the North Hills rely on the trust and fellowship they’ve built together, as they share a backyard and jointly plan youth programs and community events. Congregations here and in other cities continue to gather amidst fear of life and property, praying and hoping for a better world. They continue to prepare for the unknown, for the worst that may happen. Once harbors of peace and mysticism, today houses of faith continue to thrive under surveillance systems and emergency drills. Clarification (3/23/2017): The quote from Sonya Toler on the concern about security at places of worship has been updated at her request. Saima Sitwat is the president-elect of the Muslim Association of Greater Pittsburgh [MAP]. She came to PublicSource with the idea for this story because of her experiences as a Muslim in the Pittsburgh area. Regardless of her personal connection, the reporting and fact checking conducted for this story were vetted in the same way as a typical PublicSource story.